Hosted by one of my favourite humans, Stephen Fry, the brilliant BBC TV comedy panel show QI (standing for 'Quite Interesting') has been a must-watch of mine for many years. If you haven't seen it, the guests battle it out to win points for producing the most interesting answers to difficult questions about little known facts. Each series is themed around a letter in the alphabet and at time of writing they've reached 'M' - yikes, I hadn't realised that it's been on for 13 years! 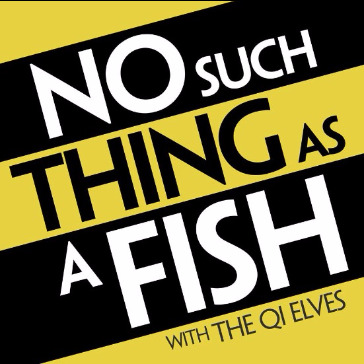 Earlier this year, I was super-excited to hear from a friend that some of the researchers (or 'elves', as they refer to themselves) behind the show had put together a spin-off podcast - titled No Such Thing As A Fish. The podcast gathers some of the QI Elves around a table to relate their four favourite facts uncovered in the past week. Each fact meanders off into a discussion of various related Quite Interesting topics and amusing conversations. I think in my head I'd created an image of the show's fact-gatherers as pale, shut-in folks chained between a laptop and a reference library, but these guys and gal are brilliant researchers and really, really funny. So much so that they now tour a No Such Thing As A Fish live show that I'd really love to go and see, although anywhere remotely near me is sold out for the foreseeable future. Their job sounds amazing (I'm extremely jealous) but I don't think my research skills are up to the challenge of becoming an elf! If you like to learn and be entertained at the same time, check out the podcast website here. 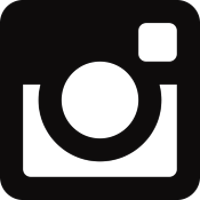 There's a huge back catalogue for you to catch up on, as this is a weekly podcast and has been going for almost two years. Trust me, though, you won't get bored. And no, I'm not telling you why there's no such thing as a fish - you'll have to listen! If you still want more to listen to, take a look through my other podcast reviews.